We have quite a few rovers trundling around Mars. Just from reading the popular news, I get the impression that everything encountered so far (minerals, rocks, strata, formations, structures, etc.) has been recognized immediately by the human geologists back on Earth. I understand that there is sometimes debate about how these rocks and minerals and structures formed, but there doesn't seem to be any mystery about what they are. 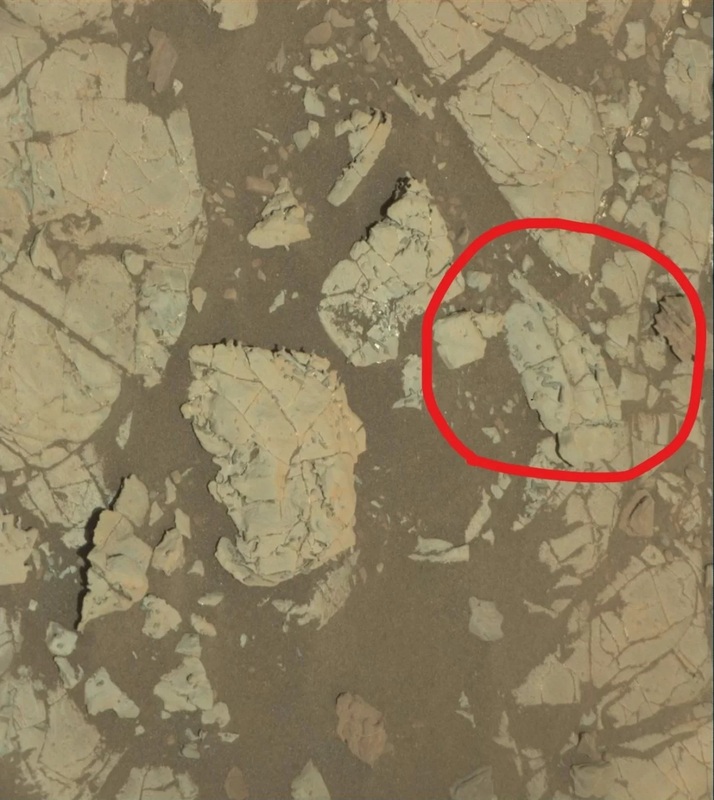 Have we encountered any rocks or minerals or structures on Mars which geologists don't recognize? 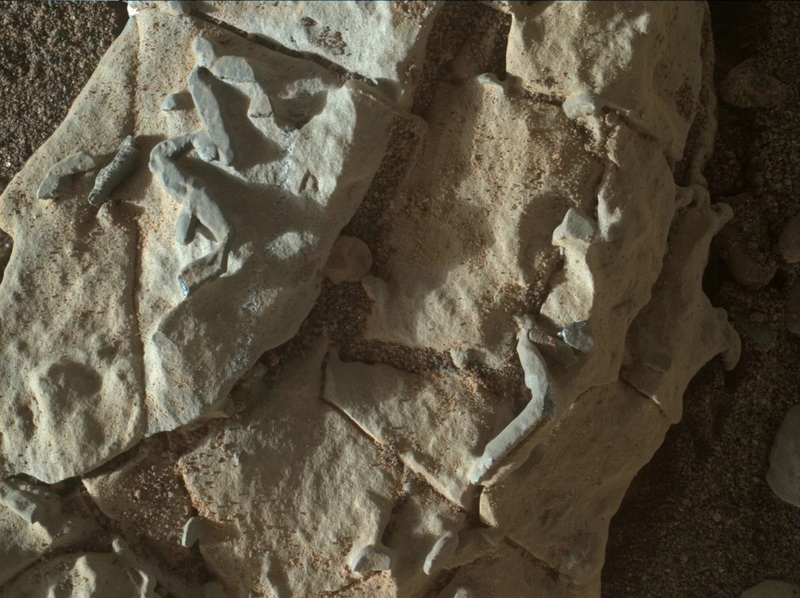 Yes, sort-of: These are similar to structures on Earth that are produced by life, so they have people scratching their heads! 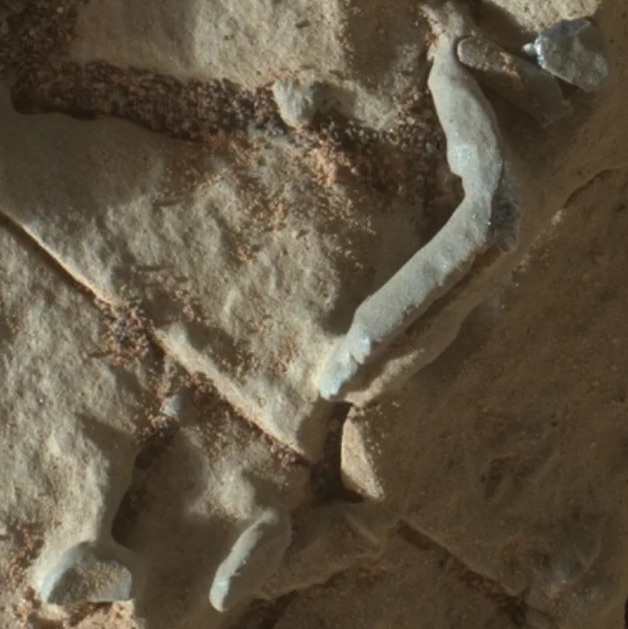 There are some unusual structures in recent images from the Mars Curiosity Rover's MAHLI (Mars Hand Lens Imager) shown in the Space.com article Curiosity Rover Spots Weird Tube-Like Structures on Mars. 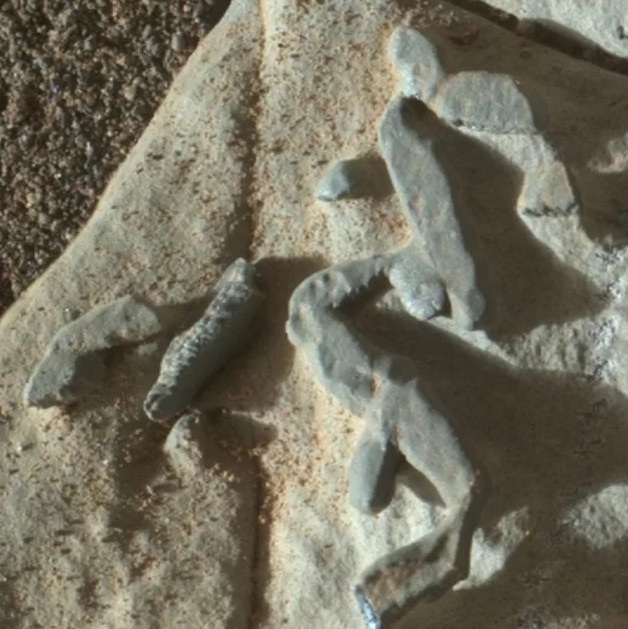 An astrobiologist (not at NASA) is quoted as saying that they looked "...remarkably similar to Ordovician trace fossils..." while others are quoted as suggesting that these are visually reminiscent of bioturbation processes on Earth. Cropped section are also included for better viewing, in the first one, sunlight can be seen below the structure near the bottom, showing that it extends somewhat upward from the rock below it. Not the answer you're looking for? Browse other questions tagged mars rovers geology mars-exploration-rover or ask your own question. Have there been any recent lunar rovers? Why do the Mars rovers move so cautiously? Could the Mars One rovers be used to carry personnel? Have any of the rovers ever recorded a solar eclipse on Mars?